TBX; 16.1hh Bay mare; SHBGB graded mare. 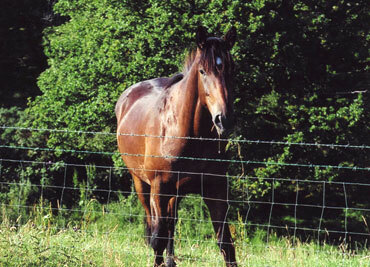 Brechfa Mayrab is a first-class hunter; sure-footed, intelligent and careful, a natural jumper. Her good bone, straight movement and wonderful temperament have all been passed on to her foals. This wonderful mare has produced successful eventers and hunters.